﻿ Riad Jomana Marrakech. JIMAT di Agoda.com! Ada soalan mengenai Riad Jomana? Direka untuk kedua-dua tujuan perniagaan dan percutian, Riad Jomana terletak di lokasi strategik di Medina; salah satu kawasan yang paling popular di bandar tersebut. Dari sini, tetamu boleh menikmati akses mudah kepada semua yang bandar meriah ini boleh tawarkan. Pelawat yang datang ke hotel boleh melawat tarikan utama di bandar ini seperti: By Com Savons et Compagnie, Hammam Bab Doukkala, Rue Bab Doukkala Market. Menawarkan tetamu hotel perkhidmatan yang unggul dan pelbagai kemudahan, Riad Jomana komited untuk memastikan penginapan anda berada di tahap seberapa selesa yang mungkin. Untuk keselesaan dan kemudahan tetamu, hotel ini menawarkan Wi-Fi percuma semua bilik, Wi-Fi di tempat awam, tempat letak kereta, khidmat bilik, bilik keluarga. Suasana Riad Jomana terpancar di dalam setiap bilik tetamu. bilik larangan merokok, penyaman udara, pemanas, beranda/teres, katil panjang (> 2 meter) hanyalah sebahagian daripada kemudahan yang boleh didapati di hotel tersebut. Hotel ini menawarkan banyak peluang rekreasi yang unik seperti rumah urut. Apa juga tujuan lawatan, Riad Jomana merupakan pilihan yang terbaik bagi penginapan anda di Marrakech. We stayed four days. The Riad is well kept but not extremely luxurious. Great value for the money. Very clean and best of all was the staff who provided great hospitality and tourist information for all nationals and religions. You can learn a lot about life while staying here! Stay was comfortable/basic . A little further from the main square than had been expressed. The excursions offered by the hotel did not live up to expectation - I would shop around next time. The booking process was efficient with no problems/misunderstandings. No map of city - in fact, the messy array of tourist brochures were not very helpful. This could be improved upon. Having said all that, the Riad was clean and friendly. Stay was very good, hotel staf was very helpfull for guests new to marrekech and took the time to explain everything. Your holiday will begin with a prompt and professional shuttle from the airport. 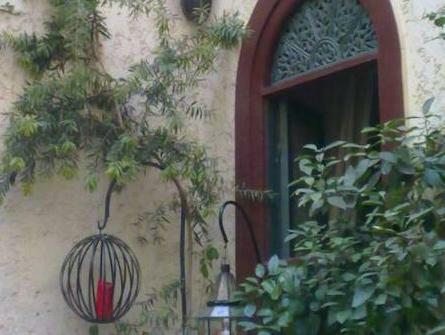 Upon arriving at Riad Jomana, you'll be taken back by its beauty. Before bed, you might go up to the roof terrace and look out across the old city. In the morning, you wake up and a delicious Moroccan breakfast is cooked right away. We were not required to wake at set times for breakfast. It's just a short walk past the iconic mosque to get into the main square. The distance is perfect because its close to all the action but not so close that it can't be escaped. When you return, your big comfortable four poster bed has fresh linen and the room is spotless. If you would like to do any excursions, Youssef is able to help. We did some quad biking through the desert. This is a fantastic Hotel. It is the perfect base for a Stay in Marrakech. Thank you Youssef, we will certainly be returning! Veldig lytt i, gjenklang, lite lufting. Ellers hyggelig sted og folk. Rent å pent. Ensformig frokost men det er hvist vanlig på riader. Super beliggenhet. Problème de réservation donc déménagement et fatigue au niveau des déménagements de chambre, voir de riad. Valise jamais défaite! Dommage pour une réservation de huit jours au même endroit non itinérante! Nous avons passé 2 jours très agréables dans le riad Jomana, bien situé dans la médina. Voyageant avec une enfant de 7 ans, notre chambre triple était très spacieuse. Notre hôte Yassine était très aimable et toujours de bon conseil, merci à lui pour sa gentillesse. Très bon séjour, excellent accueil de Youssef. A recommander vivement. Super séjour avec un personnel accueillant et avec qui nous avons beaucoup pu discuter. Personnel très accommodant. Superbes chambres bien décorées et très grands (salon, deuxièmes lits, anti-chambre). Proche de la place centrale mais dans un coin au calme. Petits problèmes sanitaires mais qui semble très répandu au Maroc. Nous recommandons vivement cet endroit. Le petit déjeuner est très copieux , youssef est très sympa et attentif a toutes nos attentes la chambre est très propres .